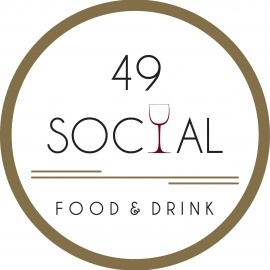 49 Social opened its doors in May of 2011 in Boston’s Downtown Crossing neighborhood. Featuring an eclectic menu of refined American cuisine, Executive Chef Nery A. Herrera draws inspiration from local sources and flavors. 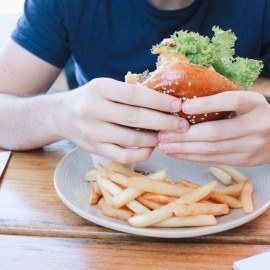 His culinary flair breeds a menu that is sophisticated—yet approachable—comfort food made entirely from scratch. 49 Social features three dining rooms with an expansive bar and lounge area. 49 Social boasts a relaxed atmosphere illustrating warm tones, unparalleled architecture, and sleek accents. 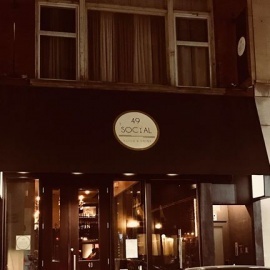 Open Monday through Saturday, 49 Social serves as a lively dining destination for any occasion!